Heat oven to 350 degrees. Coat cookie sheets with nonstick cooking spray. In a food processor or blender, blend corn and sour cream until pureed. In a large mixing bowl, whisk together corn puree, egg, granulated sugar, vanilla, lemon zest and 2 tablespoons lemon juice until well combined. In a medium mixing bowl, sift together flour, baking powder and salt; whisk in cornmeal until combined. Knead in butter using fingertips or forks until well incorporated and mixture starts to clump together and form pea-size lumps. Stir buttery-flour mixture into corn mixture until just combined. 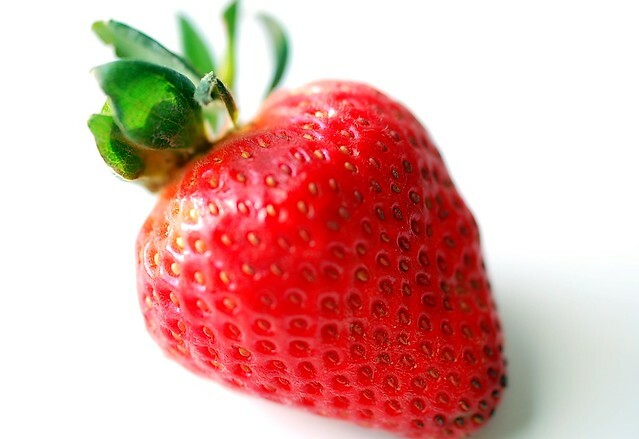 Stir in strawberries until just combined. Chill dough in refrigerator or freezer until firm - about 20 minutes. Place dough on a surface lightly dusted with cornmeal and form an 8-inch round; slice into 10 triangles. Transfer triangles to cookie sheets. Bake 20-25 minutes or until golden brown. Cool scones on wire racks. Drizzle with glaze. To make the glaze, stir together remaining 1 teaspoon lemon juice and confectioners' sugar in a small bowl until well combined. 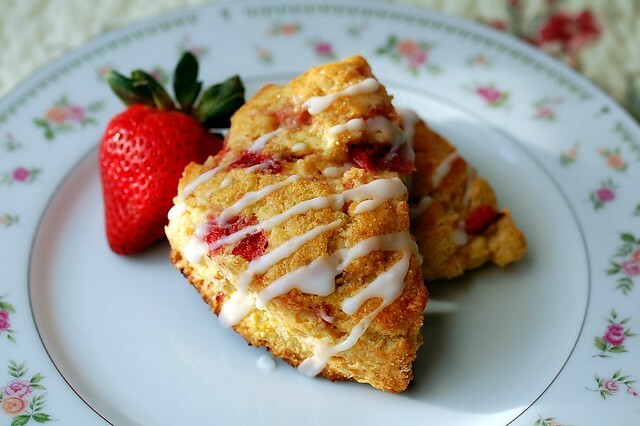 31 comments on "Summertime Strawberry-Lemonade Scones"
Yum! How interesting. I bet the texture is great. So creative! That sweet corn sounds like an incredible secret ingredient that no one would ever guess. I like your creativity with these scones. 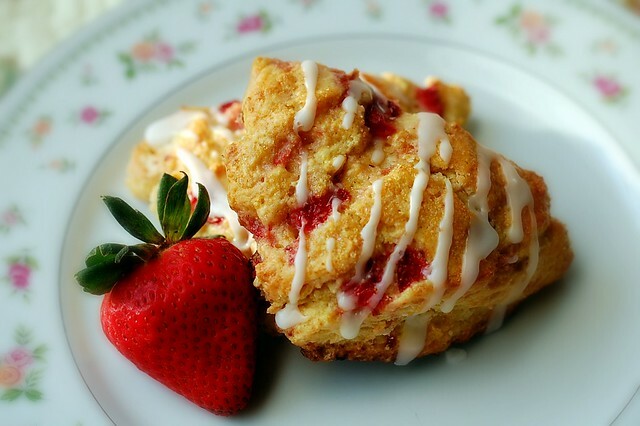 I love using cornmeal in my shortcake biscuits when making strawberry shortcake, so I can see how an escalated corn flavor would make these great. Speaking of scones, actually, I just had the most amazing one ever yesterday! 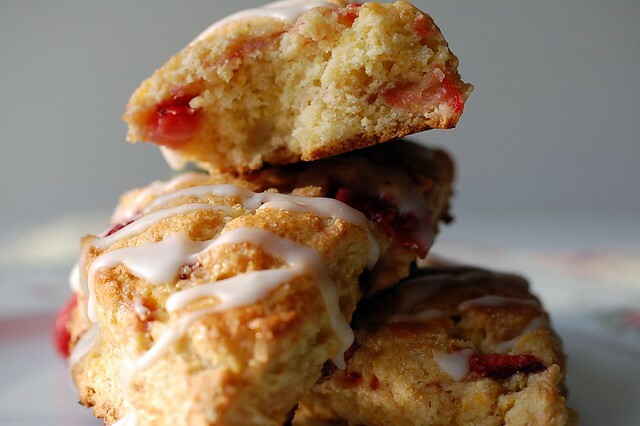 Now I'm on a scone kick, so I may need to make these soon. Ah, I am so scatter brained today. Oh, one more thing! I was traveling this week and our pilot was letting us know as we passed over each state - thought of you when he told us we were flying over Springfield, MO! first the thumbprints, now these, I love the strawberry + lemonade flavorings! yummy! I have never had a scone!! I am going to make some this spring/summer for a tea party I am planning. I am so so so craving the taste of summer! 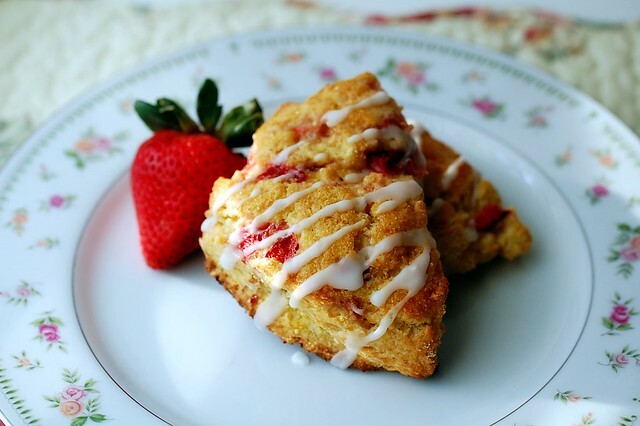 Yup these scones most definitely need to be made SOON. What an awesome idea to add corn! So creative! I'll bet they taste spectacular, of course. These definitely make me think summer. They're gorgeous! Liz, that's so cute! Yup, I was here. :) A cornmeal strawbery shortcake sounds fabulous. Emily ! you made me so hungry :( i want them allll !! Such a creative recipe! Gorgeous, too... and I'm sure absolutely delicious :). Wow, this is a really great idea, Em! I want to try these. Strawberries? Sweet corn? Lemonade? All at once!? Can't beat it. oh goodness. these sound so delicious! i love the idea of the corn in the mix. delicious! you are such a great recipe creator! these are so unique! This looks like the perfect summer treat to get any day started in the right direction. These look A.Mazing!!! I would run to my kitchen right now to make them if I had super sweet corn. Delicious!!! I made these for Mother's Day and they received rave reviews. They are so light and moist...unlike a lot of scones that you can get at professional bakeries. Thank you for the recipe...I will definitely be making these again! These look amazing! I love strawberry and anything made with them. This looks like the perfect way to start a morning.